ECB Menu For SharePoint or Custom action menu is available for user access at different locations in SharePoint. It can be an icon/text, which can be used to implement functionality such as navigating to a landing page, starting a Workflow on an item or any custom action inside SharePoint. By default SharePoint provides the default custom action like edit, delete and view item options. Here we will be adding new ECB Menu as “Custom Edit Page” as shown in the below image. On click of the Cusom Edit Link, it will be redirected to my custom edit page which I have created under list form. 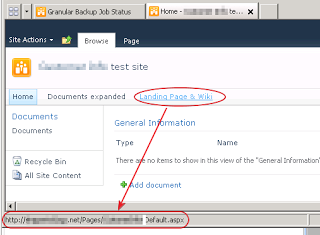 Also, I am passing the ID of current list item as well as Source page URL from where it will be redirected back after performing action on redirected edit page. It can be implemented with any list/library, however I have implemented it on list. You can use any ScriptEditor/CEWP on your page and put all below scripts as is by just changing the list name and URL. 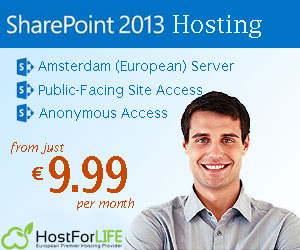 SharePoint 2013 Hosting – HostForLIFE.eu :: How To Create A Generic List Using SharePoint JSOM? Just copy the code below and paste it in a “content editor” webpart on a web part page. It’s the working code. It will work 100% for you. 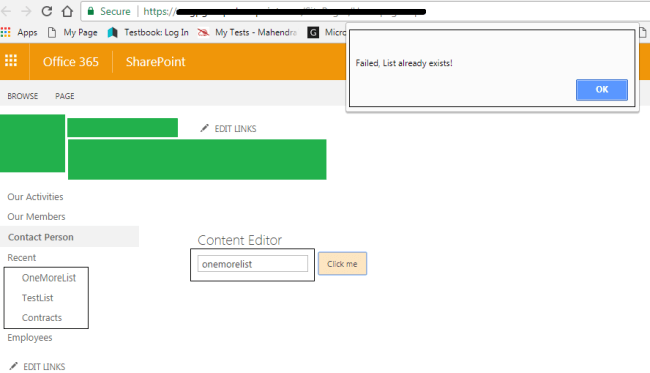 I am using my SharePoint online account in this example. 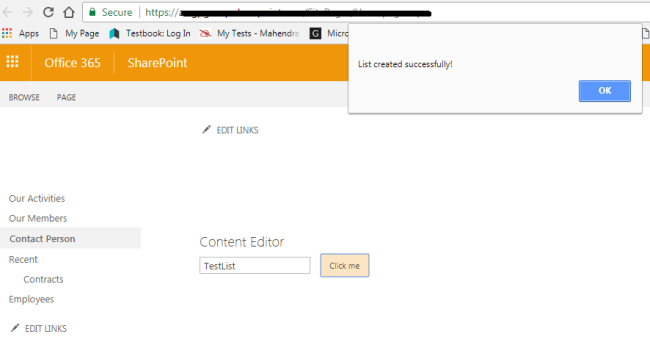 Just name the generic list in the text box you want to create then click on the Click me button as shown below. A notification message will pop up as shown below. You will find the newly created lists on the left navigation as shown below. If the list already exists it will give you a message saying that the list already exists. It is a very basic example. I was looking for the working code but I was unable to find it anywhere, then after struggling with so many errors finally I was able to do that. I decided to post it so new programmers can simply copy paste the code directly and understand it.